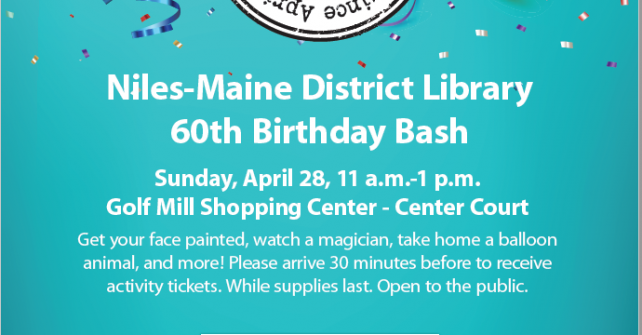 Join us as we celebrate the Niles-Maine District 60th Birthday Bash Sunday, April 28th from 11 am – 1pm! The event will feature free face painting, balloon art, a magic show and more! Please arrive 30 mins in advance to receive activity tickets. While supplies last.